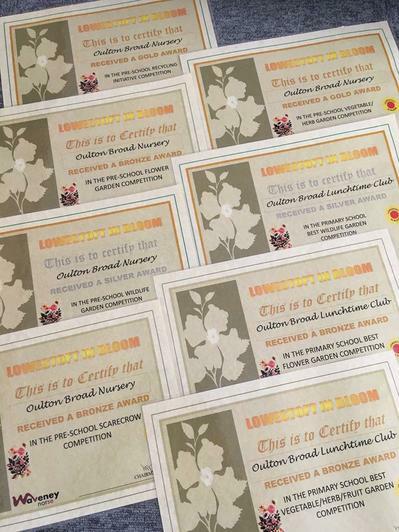 We enjoyed a great evening at the recent Lowestoft in Bloom presentation evening collecting eight awards. The two gold, two silvers and four bronze awards were collected by long-time volunteer, Mrs Palmer, who was accompanied by members of our lunchtime gardening club. Thank you to all of you whose hard work makes the school look so good.